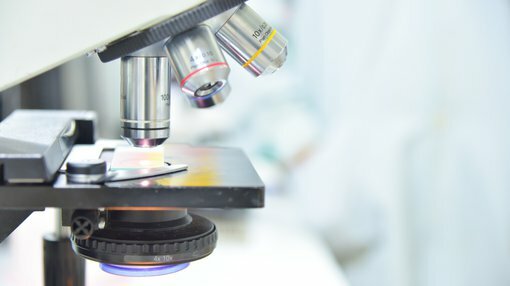 Imugene Limited (ASX:IMU), a leading clinical stage immuno-oncology company, has today released new data on the Phase lb study of its HER-Vaxx cancer vaccine at the American Association for Cancer Research (AACR) 2019 Annual Meeting in Atlanta, Georgia. The poster (abstract number 8249) was presented by Professor Ursula Wiedermann from the Medical University Vienna, the lead-inventor of the HER-Vaxx cancer vaccine and member of IMU’s Scientific Advisory Board. Wiedermann provided the update with a well-known research team at the Medical University Vienna. No serious adverse events related to administration of HER-Vaxx (IMU-131) were reported. A dose of 50 micrograms was recommended for further evaluation in the Phase II trial, featuring two arms of either HER-Vaxx plus chemotherapy or chemotherapy alone. The abstract presentation was entitled ‘A Phase lb open label multicentre study with a HER-2/neu peptide vaccine administered with cisplatin and 5-fluorouracil or capecitabine chemotherapy shows safety, immunogenicity and clinical response in patients with a HER-2/neu overexpressing advanced cancer of the stomach’. It was authored by Professor Wiedermann and researchers at the Medical University of Vienna in Austria and IMU. In addition, IMU announced that Dr Tanios Bekaii-Saab from the Mayo Clinic also presented new data on the KEY-Vaxx and B-Vaxx cancer vaccine programs at the AACR 2019 Annual Meeting. The key finding of the KEY-Vaxx presentation demonstrated that it, combined with B-Vaxx, is more effective in reducing tumor growth in a validated mouse model of colon carcinoma versus either the PD-1 monoclonal antibody. This vaccine combination was found to be safe and did not appear to exhibit toxicity or autoimmunity. IMU is now working to evaluate KEY-Vaxx and its potential efficacy in a range of cancers. Its KEY-Vaxx treatment is a B-cell peptide cancer vaccine designed to treat tumors such as lung cancer, by interfering with the PD-1/PD-L1 binding and interaction, and produce an anti-cancer effect similar to other immune checkpoint inhibitor monoclonal antibodies. The presentations were entitled 'Development of a novel PD-1 vaccine and in combination with two Chimeric HER-2 peptide vaccine provides synergistic inhibition of tumor growth in a syngeneic Balb/c model challenged with CT26/HER-2 carcinoma cell line' and 'A phase 1 Active Immunotherapy Trial With a Combination of Two Chimeric Human Epidermal Growth Factor Receptor 2 (HER-2) B Cell Peptide Vaccine Emulsified in ISA 720 and Nor-MDP Adjuvant in Patients With Advanced Solid Tumors'. They were authored by Dr Saab (Mayo Clinic Cancer Center, Phoenix, Arizona) and researchers including Professor Kaumaya at the Ohio State University, Colombus, Ohio (and others). IMU’s HER-Vaxx is a B-cell peptide cancer vaccine designed to treat tumors that over-express the HER-2/neu receptor, such as gastric, breast, ovarian, lung and pancreatic cancers. The immunotherapy is constructed from several B cell epitopes derived from the extracellular domain of HER-2/neu. It has been shown in pre-clinical studies and now in Phase I studies to stimulate a potent polyclonal antibody response to HER-2/neu, a well-known and validated cancer target. A Phase II HER-Vaxx study was initiated in March 2019.